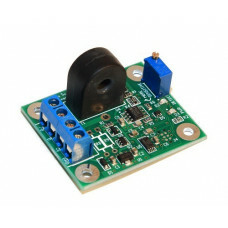 Isolated, reliable, easy-to-install, single-channel DCC block detector. Compatible with a wide variety of other block detectors on the market, the CKT-BD1 provides two open collector outputs (one for detection, one for no detection) with optional pull-up resistors and adjustable sensitivity. 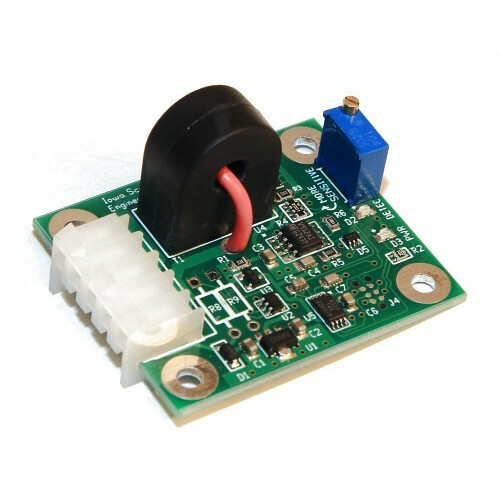 Based on a current transformer, the detector maintains isolation between your track and signal systems. For our friends invested in C/MRI, we offer an optional connector that replaces the screw terminals with a plug that connects directly into Dr. Chubb's detector motherboard (ODMB) and provides full compatibility with the DCCOD. 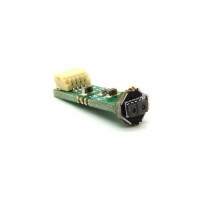 Optional C/MRI DCCOD-compatible connector – plugs into C/MRI detector motherboards! 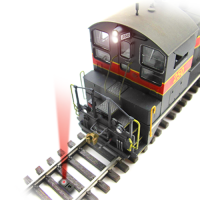 I’d like to introduce you to ISE’s latest model railroad product – the CKT-BD1 single channel DCC block detector! This little DCC current-based detector is designed to be highly sensitive while being resistant to false triggering, robust, and very easy to install. 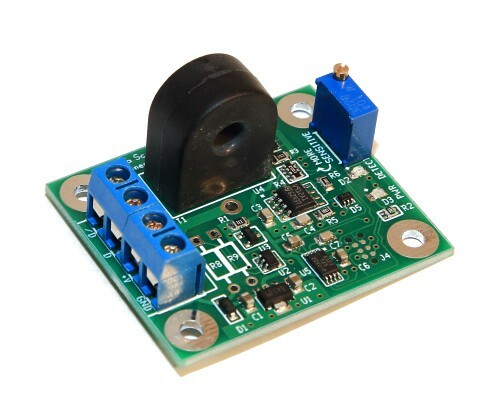 All you need to do is pass one of the bus wires to the block to be detected through the current transformer and provide 5-18VDC to power up the detector. 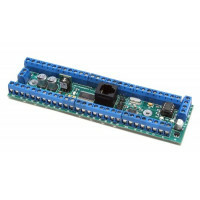 It can run on as little as 5VDC at 15mA, so it’s perfect for connecting to digital logic such as Arduinos or C/MRI systems. It has open drain outputs for both detecting and not detecting states, so it’s compatible with a wide range of other model railroad products such as the Modular Signaling System, C/MRI, input modules for systems like JMRI, standalone signal sytems, or even just seeing if there’s something in that hidden section of track on your layout. It also has adjustable sensitivity, so you can tune it to ignore leakage current through your trackwork while still picking up minute currents from rolling stock. 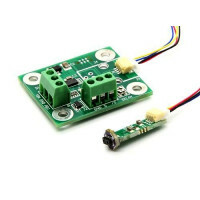 Precision current measurement circuitry and a little digital microcontroller onboard helps filter the response so that you achieve maximum sensitivity without false triggers.